Herbal Essences has gone wild with their new Wild Naturals hair care collections. The collections all include an interesting and new ingredient to help your hair feel fresher, look more radiant and shiny. While the shampoos and conditioners are on par with all of Herbal Essences other products, it’s the treatments that accompany them that make them interesting. I tried their two new hair oils to see how they made my locks feel. 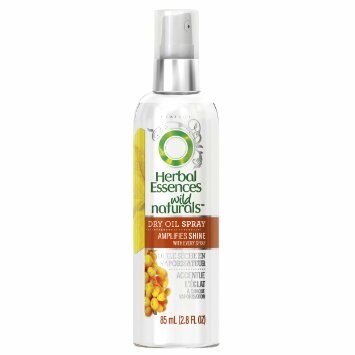 Rejuvenating Oil Elixir – I would definitely recommend using this oil on damp hair before drying or styling to add some lasting moisture. It helps to strengthen damaged hair and add serious moisture with the new addition of Turkish figs and cassia flowers. At first I didn’t think much of this oil. My hair looked fine. It was only when I stopped using it and let the humidity at my hair that I saw the difference. All week my hair had been frizz free, smooth and manageable. Seriously, when does that ever happen? Illuminating Dry Oil – Like your other favourite oils this hair oil gives you great shine, but in a spray version. I actually love having an oil in a spray. Sometimes I hate having to pour the oil out in my hand and spread it through my hair. It can be hard to spread and messy. This eliminates all of that. I wish there was more to it than just great shine though, because sometimes shine is not enough. If you want a power duo, use it with the elixir because then you will have the best of both worlds. 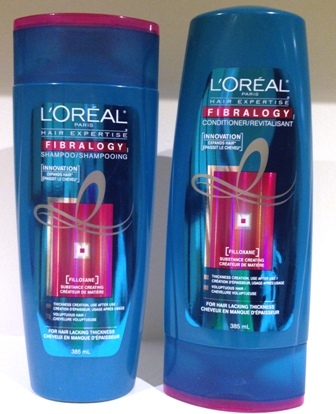 Almost every hair product makes promises but so few follow through, so when L’Oreal introduced the Fibralogy collection and promised thicker hair I was pretty skeptical. When I got an email from Influenster letting me know I was getting the Fibralogy VoxBox I was definitely willing to give it a shot. I have super fine hair and it’s really wavy, so anything that seems to make my hair a little thicker usually gives me crazy frizz. And if I can get rid of the frizz, I get flat hair. The Fibralogy set starts off pretty normal. 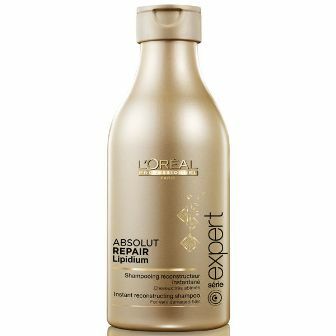 There’s a shampoo and conditioner and they’re both pretty great quality that I’ve come to expect from L’Oreal hair products. And they smell seriously delicious, like blue Freezie delicious. These are the two products you’re always supposed to use. They work well for shampoo and conditioner but I can’t tell you how they thicken because I haven’t used them without the Thickening Booster yet. 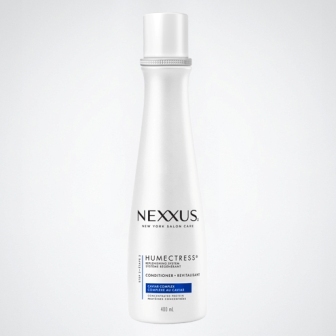 The Thickening Booster is really the part of the collection that makes you hair thicker. You apply it after shampoo and put the conditioner right over it and rinse them off together. You can use it once a week or for the intensive treatment, twice. I’ve only been using the set for a little while and so far I’ve used all the products three times. And I’ve totally seen a difference in my hair. I can’t tell if my hair really looks thicker, though my waves are much more defined and less frizzy but my hair feels quite a bit thicker. It also feels stronger and a lot healthier, and I thought my hair was pretty healthy before. I’m going to keep using Fibralogy because I like how it works on my hair and if my hair actually does get thicker with use, then I’ll consider it a bonus. If you have fine, thin hair you might want to give it a try. I love using an exfoliating face wash every time I clean my face, but I know that it’s not really good for my skin. 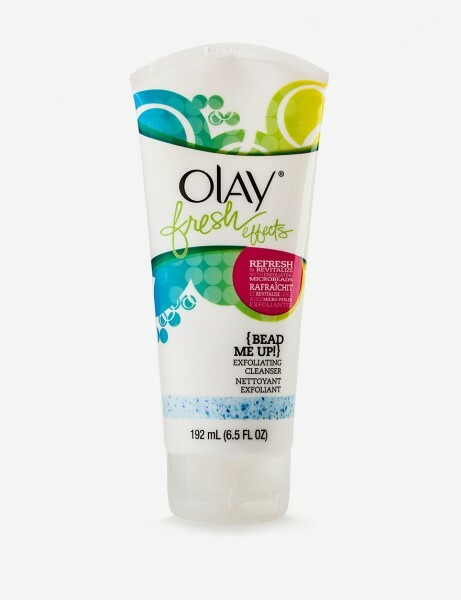 This exfoliator is gentle enough to be used as a daily cleanser, but still gives you a good scrub. This affordable shampoo and conditioner doesn’t just fight dandruff, but also nourishes your skin so that you have stronger locks. While I was using it, I wasn’t overwhelmingly impressed. This was ok, but nothing crazy. It was only after I stopped using it that I noticed a difference. My hair wasn’t as soft and easy to manage as it once was. I love body wash that fills the bathroom with rich smells. I’m not even very particular in what the smells are. As long as it mixes with the steam to create a spa like feel, I am in. Lotus Aroma uses natural essential oils to create some of the strongest scented body wash I’ve had the pleasure of using. Be warned that these are very strong, but if you are into strong smells like me, then prepare for some pampering. Freshen up and exfoliate the skin all over the rest of your body with these new organic scrubs. There are three scents ‘fresh’ (lemon and lime), ‘refreshing’ (lavender and palmarosa) and ‘sweet’ (raspberry and orange). The scents aren’t as sweet or powerful as you might expect, but that doesn’t make them any less effective. 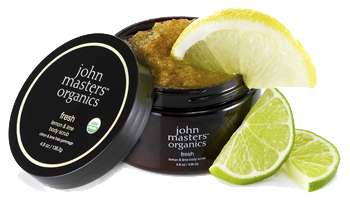 The mixture of sugars and natural oils and butters make these scrubs tough on skin, but also highly moisturizing. It’s great for washing away winter skin. If you’re lazy with body lotion, Nivea’s In-Shower Body Milk makes things a lot easier. Just apply in the shower after you’re done with soap, rinse off and you’re done. You don’t really notice how hydrated your skin is until you’re dry and for something to work this well in such a short amount of time is amazing. It comes in three different types, but the Nourishing for very dry skin is my favourite. Winter really does a number on my hair. It feels drier, less shiny and definitely less soft. Since my hair is fine, a lot of repairing conditioners are too heavy for me but the Therappe & Humectress line seems to have found a happy medium. Therappe has a medium thickness for a shampoo and lathers really well. My hair feels clean when I’m done but doesn’t feel stripped. I definitely need conditioner after but I don’t feel like my hair is completely moistureless. Humectress is a lot lighter than a lot of conditioners I’ve used and even though my hair soaks it up, I don’t need a lot. I leave it in for a couple minutes and it leaves my hair completely manageable and easy to deal with. Both Therappe and Humectress smell amazing and you really don’t need to use a lot of either one. I did notice a huge difference in my hair. It’s so much more manageable and the frizz level seems to be down quite a bit. But the biggest plus is that my hair is so shiny and looks really healthy. I barely want to put any styling product and to be honest, I need less than usual. I don’t know how my hair will react in the summer but Therappe and Humectress have really made my dry, winter hair look and feel amazing. Your favourite affordable makeup line is now making hair dye. 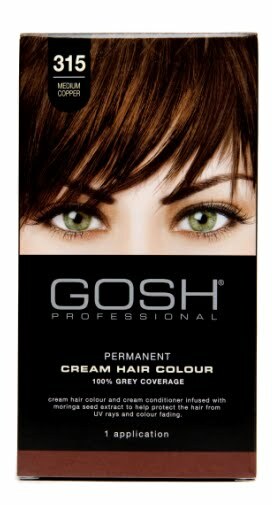 We got the chance to dye our hair with the new Gosh Cream Hair Colour line. I used the Dark Brown shade to give me a slightly darker tint that would help bring out my green eyes. The steps to dying your hair with Gosh’s hair dye are exactly the same as all of your other home hair dye kits. There is nothing different in terms of the application. My hair is a lot longer than the last time I dyed it so I was nervous whether it would cover it all, but it did. It isn’t runny either. The dye really sticks to your hair so it feels like it is getting in there. The room where I was dying my hair doesn’t have any windows. I was really impressed by how little I smelled the Gosh hair dye. The smell didn’t get overpowering, even without a lot of ventilation. When I was rinsing out the hair dye, I really didn’t like the way it made my hair feel. It felt gummy and sticky and stiff in my hair. I was worried it would never wash out right. It did eventually, but it took me a few days and shampoos to feel better. 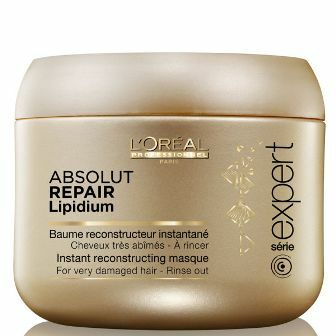 Unlike other reviews that I read, this dye did give my hair great multi-dimensional colour. I was surprised to see the flicker of other colours in the rich dark brown. My hair looks gorgeous. The absolute best part about this hair dye is the price. For just $9.99 at Shoppers Drug Mart in Canada it’s amazing value! I have never had long hair until now. Growing up I always had short hair. In high school and college, I kept my hair in a bob. Only now have I wanted to know what it’s like to have hair long enough for a cute top bun or even a braid. It’s pretty timely that this is the time when I get the Nisim F.A.S.T. Shampoo and Conditioner. F.A.S.T. stands for Fortified Amino Scalp Therapy. If you are anything like me, those big words mean nothing to you. When you learn more you find out that this collection is for people with longer hair. It contains the natural ingredients for healthy hair growth. It helps to strengthen your hair to help it grow longer and stronger faster. This means I can be at my long flowing hair goal even quicker. I don’t know if this shampoo and conditioner is making my hair grow faster or stronger. I feel like this is something that would take a long time to judge and I only have one bottle. I can tell you that my scalp feels great. I had been suffering with a dry winter scalp. When I started using the Nisim F.A.S.T. Shampoo and Conditioner my scalp started feeling so much better. The herbal smell of the shampoo and conditioner helped me know that it was the more natural products in this line calming my skin. I will have to let you know if my hair starts growing longer faster any time soon! It’s been years since I’ve used Pantene. The older formulations were way too heavy for my fine hair but I was intrigued by their new Full & Strong line. There are so many hair products that claim to add volume to your hair but so few actually do. The shampoo is a medium thick shampoo that lathers really well and has a really great fruity scent. It didn’t leave my hair with that squeaky feeling and while it didn’t feel particularly moisturized on it’s own, it didn’t feel dried out either. The conditioner was much lighter than I was expecting and because of that I wasn’t expecting much. Luckily I was wrong. My hair is extremely soft every time I use this combination and I get substantial volume. Since I don’t wash my hair every day the biggest test is to see how long the volume will stay. 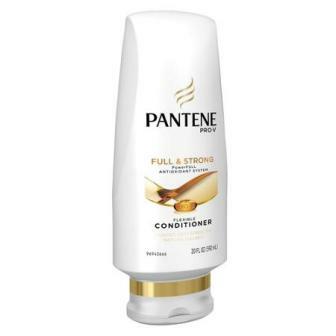 With Pantene’s Full & Strong, I had decent volume for three days, much longer than most ‘volumizing’ shampoos. I also noticed a lot less breakage than usual, which is where the strong part comes in. 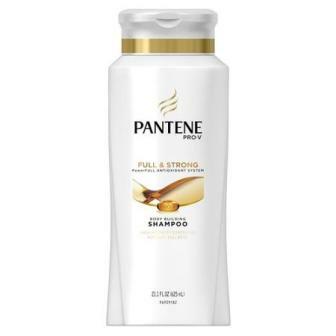 I might not have used Pantene for a long time but this line is definitely bringing me back into the fold. If you have some extra time and want gorgeous hair, we have discovered the new TreSemme 7 Day Keratin Smooth collection. If you aren’t one of those people who blow dries and flat irons their hair all of time, this is going to be different. 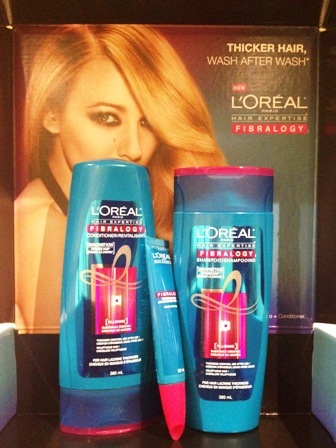 The line comes with a 7 Day Keratin Smooth Shampoo, Conditioner and Heat Activated Treatment. Using the three step system is easy. It’s the heat activation is the struggle. Since I have a lot of hair, I usually only blow dry and flat iron my own hair on the same day for very special occasions. I actually had the TreSemme line for a while before I found the time to spend the extra hour on my hair. 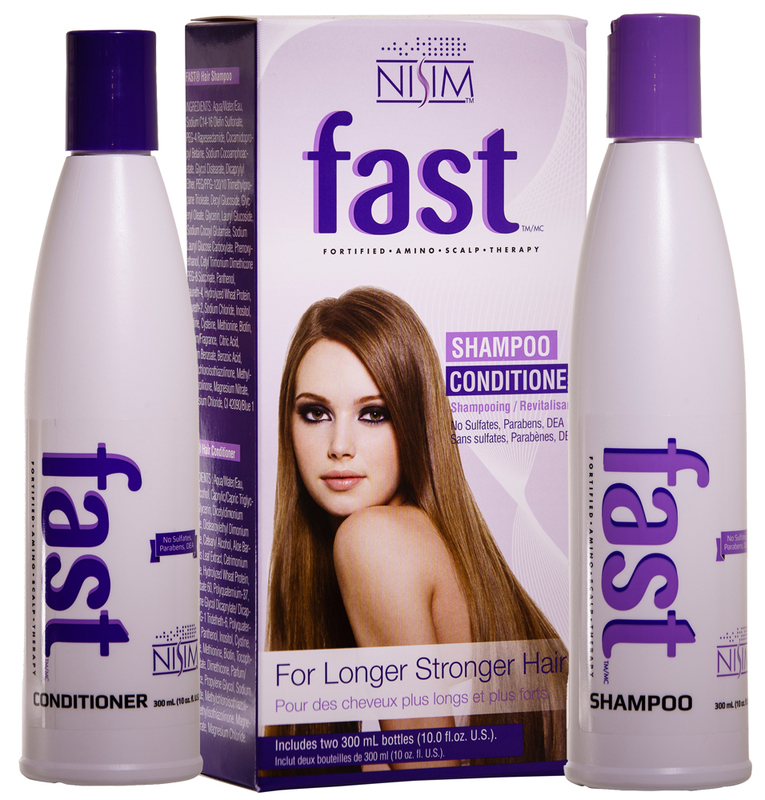 The shampoo and conditioner are the high quality that you would expect from this salon worthy brand. They have that salon smell that you can’t quite put your finger on. My hair doesn’t feel super squeaky clean, but strong and moisturized. 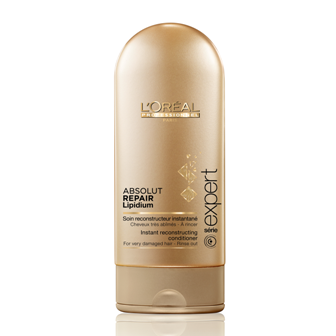 After the shower, you have to apply the Heat Activated Treatment to your damp hair. Then comes the work for me. You have to blow dry you hair until dry and then flat iron your hair afterwards. Some people won’t think that is that much work, but when you are used to wash and go hair, this seems like so much effort. I have to say though, my hair looked amazing afterwards. It looked so long and sleek. My hair did feel a little bit strange. It wasn’t totally silky smooth. It was a bit, stiff and plastic. It wasn’t too bad. It was mostly near my roots where my hair felt strange. That strange feeling only lasted about 12 hours or so . Once I slept in it and brushed it enough it softened up. I don’t know what it was that made my roots stiff, but it was worth it. For days afterwards, it looked great and I kept getting compliments on it. The one thing they left out was what I had to do to keep this look going. It says it lasts for up to 3 washes. I didn’t know what that meant. Obviously after washing my hair, it wouldn’t stay straight and smooth without blow drying it and flat ironing it. Did I need to continue using the shampoo and conditioner? Could I use the line without blow drying it or would it all feel stiff? After one wash, it went back to its normal state. 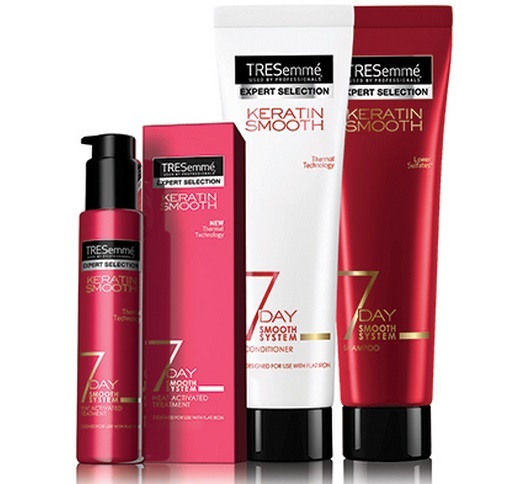 TreSemme’s 7 Day Keratin Smooth collection is probably perfect for people who blow dry their hair all of the time. But I will just keep it for special occasions. 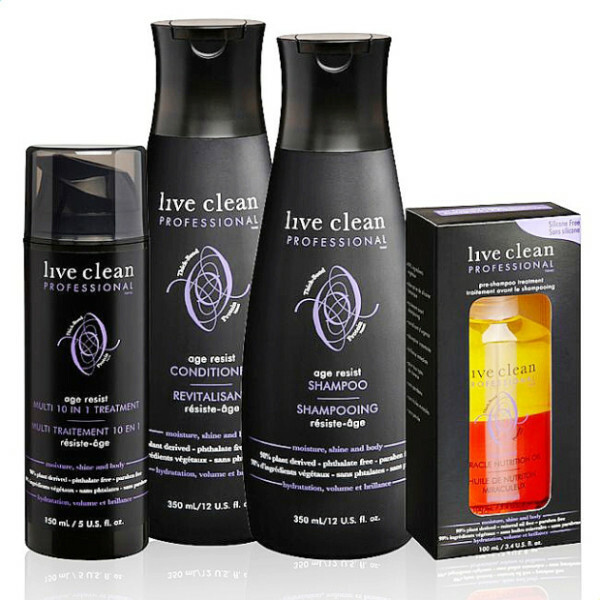 If you are anything like me, you probably haven’t ever considered the Live Clean line of hair care products. It’s nothing against the brand, but they aren’t a line that I think of when I consider high quality hair care. They’re an affordable, eco-friendly line. I had their hair care products lingering around for a while before I gave them a try. Finally one day, I pulled them out of the bag and decided to give them a shot. 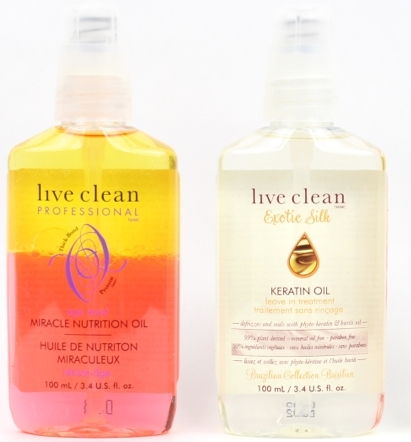 First, I applied the Live Clean Professional Age Resist Miracle Nutrition Oil. 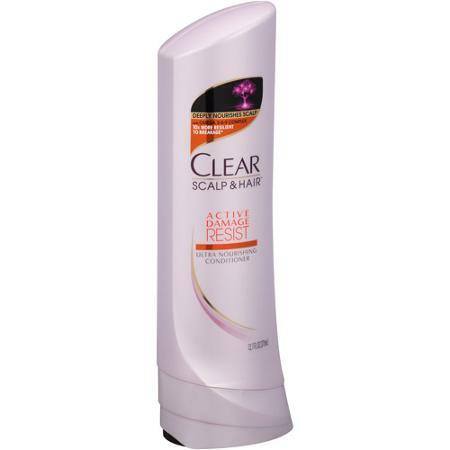 I applied the Live Clean pre-shampoo treatment to my hair about 5 minutes before my shower. This light oil felt like it was getting instantly absorbed into my hair. I was worried that I used too much, but I have thick hair so it can handle it. I hopped in the shower and rinsed it out. I then washed my hair like normal using the Age Resist Shampoo and Conditioner. These hair care products are supposed to nourish, strengthen and hydrate hair with natural ingredients like rosehip oil and berries. Honestly, I didn’t notice a difference from my normal shampoo and conditioner. After the shower, I applied the Keratin Oil Leave-In Treatment and threw my hair up in a bun. I fell asleep with my wet hair still up in a bun a little while later. At some point during the night, I woke up and pulled the bun out of my hair because it was annoying me. When I woke up I stumbled around getting dressed without looking in the mirror. I eventually dragged myself into the bathroom to deal with my mane. I looked in the mirror and my hair looked amazing. I didn’t even have to brush it. I ran my fingers through it a bit, but it was perfect. My hair is big, wavy and has crazy volume. Usually all of the products in my arsenal can’t tame my hair. If I fall asleep with my hair still wet… forget about it. This had to be a fluke. But it wasn’t, it happened again and again. This wasn’t a fluke. Live Clean is the real deal! I don’t even know how to express my joy after using Live Clean. My hair has never looked so good all on its own.